I love Twitter. I really really do. When there’s a breaking news story – or, I guess, a rolling news story – then I’m usually glued to Twitter, watching the appropriate hashtags or searching for info and generally trying to find out as much as possible about what’s happening from as many on-the-ground sources as possible. It’s also nice to feel like there are other people out there, interested and concerned about the same things you are; it’s good to get assurances that your friends are okay, or let someone know you’re thinking about them, all in real-time. But. Unfortunately, there has to be a but. When something is going on that’s as big and scary and emotional as the recent riots across England, it’s difficult to separate fact from rumour. I’ve spent an awful lot of time over the past few days reassuring people that nothing was kicking off in my area – and confronting people who were either mistakenly or maliciously spreading untruths about what’s going on. I know a lot of my friends were in similar positions, trying to fight the rumour mill and make sure that what was getting reported was actually accurate. I don’t know what drives people to deliberately lie about what’s happening. 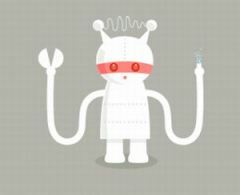 I do understand a little better how people who are scared and have heard rumours might want to warn others, or seek confirmation of what they’ve heard, but Twitter can be like a giant game of Chinese whispers sometimes, with people retweeting or repeating things that aren’t confirmed, and often aren’t true. It’s been frustrating, and stressful, and scary, watching rumours spiral out of control and not being able to stop them. I’d just like to ask that, if you’re going to tweet about a breaking news story, that you please, please, check your facts first. Please only repeat things you know to be true; if you don’t trust your source, please don’t retweet them. Things have been scary enough lately without frightening people unnecessarily. My friend Mary Hamilton just wrote a very good article for the Guardian about the same subject; go check it out here. Twitter can be a really valuable tool in situations like this, but not if we’re not using it sensibly. Please tweet responsibly. I’ve been thinking a lot about business use of social media lately, and the recent Twitter fiasco over Paperchase and plagiarism has brought everything into a particularly clear focus. Social media has made consumers expect more from businesses; specifically, it’s made us expect everyone to be accountable for their actions. Social media is all about conversations: conversations going on in comment fields, over blogs, over Facebook profiles, or over Twitter. (Twitter is really more like one enormous, slow chat room than it is a blogging network; it’s about expressing ideas immediately and succinctly, about conversing in real-time or thereabouts.) But conversations go both ways, and that’s what’s difficult for a lot of companies to take on board. It would be easy to see social media as a way to access your customers directly and get your messages out quickly and widely, and to expect to be able to foster goodwill just by existing in the social media space. And that can work. But in order to successfully use social media as a promotional tool, you need to have your house in order. You need a strong product, and enthusiastic people who believe in it. Hoping that social media will somehow make up for a lacklustre product, or expecting to be able to create a positive buzz without believing in your message yourself, will end badly. Social media won’t work miracles. And if you’re going to open yourself up to the social media arena, you need to be prepared for people to criticise you. That criticism is a lot easier to deal with when you’re confident that you’re doing good work, as long as you’re humble enough to admit it when you’ve made a mistake. The thing with Paperchase was that they initially dealt with the accusation of plagiarism badly, by trying to ignore it and hoping it would go away. If they’d listened to Hidden Eloise when she first approached them about the copied image, assured her that they were investigating it, and then actually investigated and done something about it, the story wouldn’t have blown up on Twitter. But they didn’t. And then Neil Gaiman got involved, and suddenly there were thousands of people demanding that Paperchase answer to them. The final sentence of the public statement they issued said it all, really. “It is worrying that such an allegation can create such reaction and again, Paperchase apologises for any ill-feeling caused.” It is worrying that such an allegation can create such a reaction: it means these allegations have to be taken seriously, even when there’s no legal clout behind them. Well, it might be worrying for businesses; for everyone else, it’s great. It means there’s a way to hold businesses accountable, a way to publicly ask them to live up to the standards we expect of them. I guess I should amend my earlier statement, and say that to really make a success out of using social media, you need a strong product, enthusiastic people who believe in it, and the ability to listen to your customers, admit mistakes and make changes where necessary. Social media isn’t just about PR; if you’re going to talk to your customers, you need to be prepared to listen to them, and actually do something about what they’re saying. In many cases, it might just seem easier for businesses to stay out of social media entirely. It requires time and investment, and getting involved opens up the possibility of making large and highly public mistakes, like the recent Vodafone blunder. The problem, though, is that more and more people are joining up to social media sites, and staying out of them entirely means you risk letting the conversation go on without you. Paperchase decided they couldn’t let that happen, but it took a PR crisis to get them there. We’re starting to expect more, from everyone. Is that scary? Maybe it should be. So, yes, I’m doing NaNoWriMo 2009. For those of you who don’t hang out in the same shadowy corners of the internet as I do, that’s National Novel Writing Month, although it would be more appropriately titled International Novel Writing Month, since people from all over the world take part. The idea is to write a novel in the space of a month: specifically, to write 50,000 words in the month of November. There are no other rules: just that you have to write 50,000 words worth of story between November 1 and November 30th. I’ve done NaNoWriMo once before, in 2006. I spent every morning before work diligently typing away, and had one crazy weekend where I wrote 20,000 words over the space of two days, and ended up finishing around November 20th. The finished novel, tentatively titled “Reality”, then sat on my computer for years. Every so often I’d open up the Word file and cringe at how awful it was, have a go at editing a chapter or two into something resembling a real novel, and then give up again, but mostly it just sat around being ignored. I kept thinking that I really should do something with it, because it was a really really awesome idea – zombies in the Big Brother house! – and then Charlie Brooker’s Dead Set happened, and I finally acknowledged to myself that I never would work Reality up into a publishable novel and it would be forever consigned to the dusty recesses of my hard drive. So why am I putting myself through this again? I’m not sure I’ve really got a good answer for that. Every time NaNoWriMo rolls around, I think about taking part, but usually life gets in the way. This year, I knew I had enough spare time to do it justice, and I had an idea for a novel that’s been hanging around since about 2005, and so on October 29th, I decided to throw my hat in the ring and just do it. That’s what NaNoWriMo is about, really: just doing it. It’s about the joy of creation. It’s about turning off the little voice in your head that says there’s no point in bothering, that you’ve got nothing to offer the novel-reading world, that there are a million other things you could be doing instead. It’s about turning off your inner editor, who says that that last sentence could have been expressed more concisely, or more evocatively, or just, well, better. There’s no time to go back and fine-tune every word. There’s only the mad panic and pain in your wrists caused by typing typing typing late into the night, and the terrifying knowledge that there are people out there who wrote 10,000 words on November 1st and are now coasting gently to the finish line while you’re still trying to catch up with the words you should have written three days ago. When you write for a living, it’s easy to forget that writing can be fun. 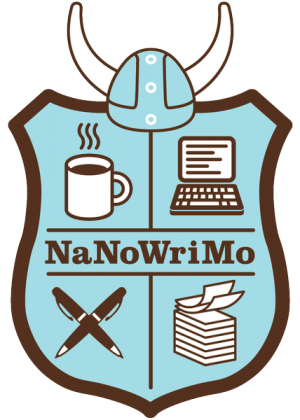 NaNoWriMo, despite the terror of such a short deadline, helps remind me that writing – especially the kind of writing where you’re just pulling random things out of your head and setting them down on paper – actually feels kind of awesome. Of course, it’s easy for me to say that now, a comfortable 23 days from the end of November and 17,000 words into my story. Remind me of this blog post when I’m pulling my hair out on November 29th with another 15,000 words to go.